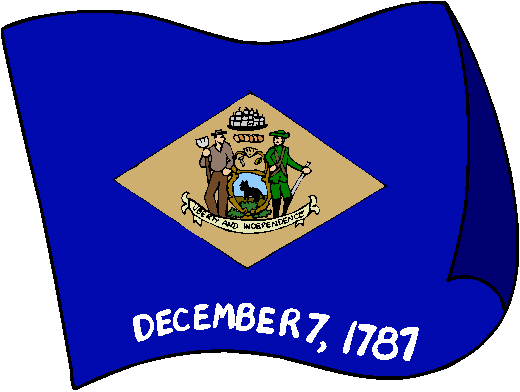 Delaware's flag contains a buff-colored diamond on a field of colonial blue. Within the diamond, is shown the state's coat of arms. Beneath the diamond, is the date December 7, 1787, which was the date when Delaware ratified the U.S. Constitution (and became the first state to do so). The flag was officially adopted by the state on July 24th 1913, although similar flags had been used by Delaware regiments during the American Civil War (1861 to 1865).